We are all about cross-marketing opportunities with our customers. 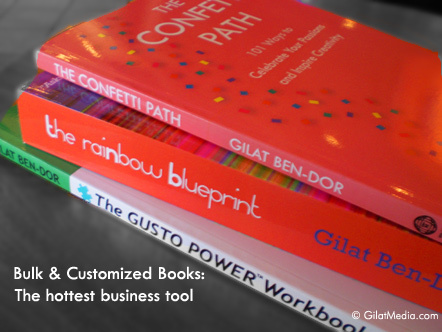 Gilat Ben-Dor Media publications are available for discounts on bulk purchases, and special customization options in certain circumstances. Please contact us today to determine if your order qualifies, and to learn more about how our books can help your business, your employees, and your customers.